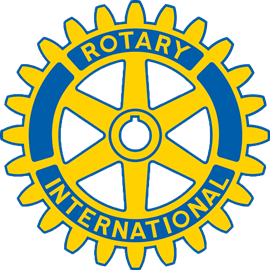 If you are a resident living or working in the Rutland area and are interested in becoming a Rotarian or merely wish to find out more about Rotary, contact one of our members or attend one of our meetings and express your interest. Another option for more information is to contact Richard Rohe, Membership Chair at journal@sover.net or call 492-2300. An existing member will sponsor you for membership and provide an overview of Rotary and the benefits and obligations of membership. After your attendance at two meetings the sponsor will complete the proposal for membership and forward it for approval to the Board of Directors. The nomination will subsequently be posted in the Club Chips Meeting Minutes. After a personal informational meeting an induction is scheduled at a regular meeting of all members.